Our “Mini Golf Guide: Much Ado About Putting” covers a wide territory. From the history of the game to best courses, and from pop culture references to playing tips, there’s something for everyone. It might be a lazy summer afternoon, or a child’s birthday party, or maybe even a first date. 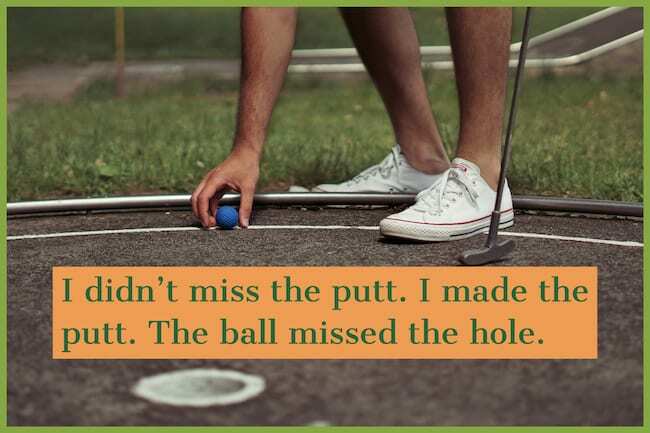 A mini golf outing is one of those recreational sports that nearly everyone has experienced. The windmill obstacles, the water holes, and aiming for the clown’s nose on the last hole are something most of us know. While the game was born across the pond, say “putt-putt” to anyone today and they won’t picture a miniaturized golf course for women. More than likely, they’ll think of a carnival-like funhouse array of obstacles and animatronics. A staple of tourist hubs like Orlando, Florida and resort towns like Myrtle Beach, South Carolina, miniature golf courses have dotted the American landscape since the 1920s. But the game itself is much older than that. It’s hard to imagine, but one of America’s most popular leisure activities actually found it’s start on a members-only green for women golfers in Scotland. St. Andrews, in Fife, Scotland, has been called the “Cathedral of Golf,” and has often been the site for the British Open, the oldest of the four major championships in professional golf. It was there in 1867 that the Ladies’ Putting Club of St. Andrews was formed. An 18-hole course with short greens was constructed for the women interested in playing golf, but, because of the social conventions of the time, these women were not allowed to swing the golf club past their shoulder. It was unacceptable for women to publicly perform the “violent” movement that a proper golf swing required. So these women played on a series of putting greens, and their version of the game paved the way for the popular activity. It wasn’t until James Barber began construction of a small golf course in his backyard in 1917 that the game we recognize as mini-golf today was seen in the States. Barber built an 18-hole course to entertain his houseguests in Pinehurst, North Carolina. Barber, whose target audience was the experienced golfer, named his course Thistle Dhu (pronounced “this’ll do”). The popularity and publicity of Barber’s Thistle Dhu course spurred the development of pitch-and-putt courses across the country. These courses were largely putting greens, or smaller, par-3 courses open primarily to the wealthy. However, when Thomas McCulloch Fairbairn developed an artificial green, the game we recognize today really took off. In 1922, Fairbairn created an artificial green using a mixture of cottonseed hulls, sand, oil, and dye. This new playing surface allowed for miniature golf to become accessible just about anywhere. But this wasn’t his only innovation. Fairbairn is also credited with the addition of artificial bunkers, curves, and water hazards. These developments led to a veritable boom in miniature golf courses throughout the nation. By the late 1920s, there were over 150 courses on building rooftops in New York City alone. Fairbairn’s artificial green stimulated a growth in the game that often leads to his being called the “inventor” of miniature golf. These days, there is a miniature golf team event known as the Fairbairn Cup held at Pirate Island Miniature Golf on Seven Mile Island in New Jersey. For six years running, this event donates proceeds from the tournament to the National MS Society. During the Great Depression, regulation miniature golf courses became too expensive for everyday Americans. As a result, so-called “rinkie-dink” courses sprang up throughout the country as a replacement. These courses created their obstacles from all sorts of materials, including rain gutters, old tires, pipes, and barrels—pretty much anything they could find. From there, the obstacles most Americans are accustomed to seeing at their local mini-golf course emerged. Tilting at windmills was no longer the sole domain of Don Quixote by the late 1930s. In 1938, Joseph and Robert Taylor, from Binghamton, New York, started building and operating their own courses. These differed from the ones in the 1920s and 1930s because they had meticulous landscaping, but also obstacles, including the sport’s seemingly ubiquitous windmills, as well as castles, wishing wells, and other fantasy elements. The Taylor brothers built courses throughout the country and became the main supplier of obstacles in the industry. The Taylor’s popularity led to their working with the US government, providing prefabricated courses for soldiers to enjoy in Korea and Vietnam. Nowadays, miniature golf courses that feature interesting obstacles might be referred to as Crazy Golf or Adventure Golf. Ok, wait a minute, miniature golf is so popular that it has two days? Halloween and Thanksgiving only get one each. No, it’s true. National Miniature Golf Day is celebrated on the second Saturday of May (Usually pretty close to Mother’s Day). And, on September 21 each year we celebrate Miniature Golf Day. So, you have two opportunities to brush up on your putting game and have some fun. 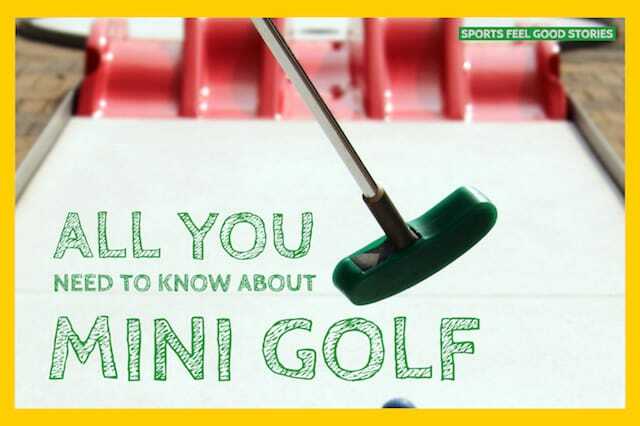 How is Miniature Golf Played? Derived from the putting portion of regular golf, mini golf is usually played on a course consisting of many holes. Most mini courses follow regular courses and have 18 holes. And others, use a multiple of 9, e.g. 27 holes or 36 holes. Each hole is typically short. Most are less than 12 yards from the tee (where you start) to the cup. The putting surface is usually astro turf, but real grass, carpet and other surfaces may be used. Two-by-four pieces of wood line the fairway and provide a border to minimize the chance of the ball going out of play. On some courses, obstacles abound to make it difficult to reach the hole. Small targets, swinging objects, water and sand, increased elevation, multiple levels and more make the game challenging. Players record their strokes (each time they hit a put) and much like regular golf, the low score total wins. Par is usually two strokes. A hole-in-one is called an ace. The order of play in mini golf: After the initial putt, the player closest to the hole putts till finishing. Then, the next closest, and so on. Here are some tips we’ve gleaned from expert players and champions on improving your game. Make sure you have the right sized putter. If you’re bending over too far, you’ll have a hard time scoring well. Visualize success. Think about the ball dropping in the hole on every shot you take. That whole power of positive thinking thing. Don’t just think in terms of hitting a straight ball. Mini golf is all about ball speed. The pace can make a huge difference in your success on the course. Watch closely the players that hit before you. On many holes, there are several options as to the best route to take. Observe and see what looks like the easiest path. The bank is open on Sundays! A straight shot usually works fine – but not always. Consider using a bank shot to get closer to the hole. And, don’t forget the back wall can bank the ball back to the hole. Know the obstacle. For many holes, it’s a matter of striking the ball at the right time to avoid danger. Watch and learn. Think positive self-talk. Don’t beat yourself up if you miss a shot. Convince yourself that you were born to be a star at miniature golf. Over time, the best way to get better is with lots of practice. As with most sports, practice helps fine tune the muscle mechanics and will help you anticipate various nuances of a course. By the 1950s, miniature golf was seen as wholesome family fun throughout the country. Whimsical, trick-shot courses with moving hazards dotted the American landscape. But Don Clayton felt it had all gone too far. Clayton, America’s foremost advocate of miniature golf as a serious sport, founded Putt-Putt Golf and Games. He sought to emphasize skill and player development, and his striped down version of the game led to professional Putt-Putt tournaments and even a sporting federation. Carter owned a resort at the top of Lookout Mountain, near Chattanooga, Tennessee. In 1927, Carter imagined a miniature golf course for his Fairyland Inn. Carter’s wife, Frieda, of German descent, had a fascination with European folklore. So, much of Carter’s miniature golf course employed that theme. Carter’s Tom Thumb course was an incredible success and it quickly led to the first franchises for the sport. Within a few years, there were thousands of Tom Thumb courses opened all over the United States. These courses, and others based on them, remained popular until the Great Depression, which ultimately forced hundreds of course closures throughout the country. The WMF is the umbrella organization of Minigolf sports associations worldwide and continental associations in Africa, America, Asia, Europe and Oceania. It has 40,000 registered players representing more than three dozen countries. 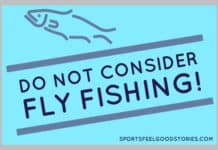 This federation is the governing body for a growing and competitive sport. The WMF organizes World Championships every two years, as well as Youth World/Open European Championships every year. These minigolf courses don’t feature any of the traditional obstacles seen at themed-courses, simply hills, curves, banks and water hazards. The surfaces sanctioned by the WMF include fiber, concrete, artificial grass, and felt, which is popular in Sweden and Finland. The WMF refers to the courses with artificial grass and obstacles commonly seen in Britain and the States as Adventure Golf or Crazy Golf. While courses under Putt-Putt’s serious style are found throughout the United States, mini-golf courses that include exaggerated and unrealistic props, such as windmills and oversized alligators, are far more common. 50 of these courses are located within a span of 30 miles in Myrtle Beach, South Carolina, otherwise known as the mini-golf capital of the U.S. Myrtle Beach is also the home for the ProMiniGolf Association annual “Masters” tournament. Mini-golf, and the beach, serve as the town’s main tourist attractions. The exterior of this course is a volcano that erupts every 30 minutes, shooting three fireballs 50 feet in the air. Visitors playing the holes inside can hear the volcano when it erupts and watch as rocks fall around them. There’s a par 3 hole that challenges you to hit the ball over a lava stream. This 40-year-old course in upstate New York offers players a chance to putt their way around the world. Or, embark on a journey throughout the United States. Themed holes include the Taj Mahal and a giant sombrero. There’s also a life-sized lobster and a replica of a New York City subway. Opened in 2007, this course looks to create the most authentic Jurassic-period golfing outing, with awesome scale replicas of the period’s most fearsome dinosaurs and the environment they lived in. Golfers choose between three courses: Old Testament, New Testament and the Course of Miracles. Each features holes themed on stories from the different part of the Bible. One minute, you’ll be putting around the whale from the Old Testament story about Jonah; the next, you’ll be making your way up Mount Sinai like Moses. Crazy golf courses the world over love a good pirate theme, but few do it as well as the Treasure Island course at Auckland Airport. Featuring two 18-hole courses, Blackbeard’s & Captain’s, the whole center was recently refreshed with new greens and new obstacles. Life-sized pirate ships and immense cascading waterfalls set the scene. Perhaps most convincing, the pirate figures are scarily realistic. 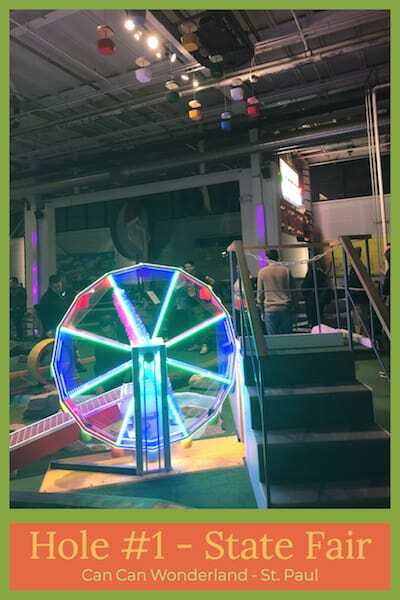 The world’s first mini golf course for hipsters, this indoor miniature golf course is the perfect sporting metaphor for San Francisco. The course offers 14 holes, each designed by an artist, and the downstairs bar features microbrew ales and comforting street food for both bearded and non-bearded players after the round. Set in an historic Victorian building that once served as a mortuary, the course features holes that are based on the Labyrinth board game. Another is set in a Jules Verne-type submarine with various gadgets to distract your opponent. The Duck Shooting Gallery hole is the most difficult. Can Can Wonderland owners asked enthusiasts what miniature golf course hole would they like to play. Hundreds submitted proposals. They took the 18 best for their indoor mini golf course. With the help of “architects, visual artists, fabricators, electrical engineers — and the furnishings from one amazing Gramma,” built this course. State Fair hole #1, designed by Julia Hinds, at Can Can Wonderland. The ferris wheel picks up your initial putt and delivers it near the hole. Note the Minnesota State Fair Skyride replica up high. Among the more innovative developments is the glow-in-the-dark, indoor courses. These immersive experiences bring a whole new level of play to the traditional game. Indoor glow-in-the-dark courses are popular throughout Scandinavia, Canada and Finland, as well as many malls throughout the United States. One of the leading companies developing these courses is known as Putting Edge. Putting Edge provides a new and exciting twist on the traditional game of mini-golf. According to their site, from the moment you enter one of the “black lit” courses, you have left “the real world” and have entered a universe full of fun, imagination, and activity. You will be immersed in a kaleidoscope of dazzling “Glow-in-the-Dark” colors, images and sounds, rocking your senses in unordinary, inevitable ways. Transport from the ocean depths to lush rain forests, from medieval times to the Aztec jungles, as you vie to sink your putt on our 18-hole challenging minigolf course. Since miniature golf has been one of the most popular pastimes in America, it’s no surprise that it made its way to Hollywood. One of Adam Sandler’s most recognizable roles came in this film about a failed hockey player. He turns to the game of golf to save his beloved grandmother’s house. In the film, Sandler’s character, Happy Gilmore, goes to a mini golf course with his coach to practice his short game skills. Those scenes were filmed on location at a real-life course called Happy Land, which is part of the large ‘Playland’ leisure complex in Vancouver, Canada. This comedy flop starred a pair of Hollywood heavyweights in Ted Danson, of “Cheers” fame, and Macaulay Culkin, coming off a stellar start to the 90s with “Home Alone” (1990), “My Girl” (1991), “Home Alone 2” (1992), and “The Good Son” (1993). This 1994 comedy starred Danson as an ex-con widower planning to pull a heist with a couple of inept accomplices. Hampered by the arrival of his son, played by Culkin, his plans stall. His son proceeds to trick his father into giving some much-needed attention. After hiding his father’s stash, he bribes him into enjoying some father–son time, including playing a game of mini-golf together. Another real-life course at Scandia Mini-Golf, at Rohnert Park, California served as the location for the mini golf scenes. In one of the most memorable episodes from the series, Homer’s son, Bart, and Ned Flanders’ son, Todd, decide to enter a miniature golf tournament. Homer becomes confident that Bart will win and makes a bet with Ned that the father of the boy that does not win will have to mow their neighbor’s lawn in their wife’s Sunday dress. On the day of the tournament, Bart and Todd make the finals but decide to call it a draw, forcing both Homer and Ned to fulfill the requirements of their bet. Viewers also discover Bart was conceived in a windmill on a mini-golf course. Animators of the show revealed they traveled to a real-life miniature golf course to study golf swings and course dynamics. One of the funniest sitcoms in recent years is “Parks and Recreation,” created by Greg Daniels and Michael Schur. The series starred Amy Poehler as Leslie Knope, a perky, mid-level bureaucrat in the Parks Department of Pawnee, a fictional town in Indiana. Another great character, Nick Offerman played Ron Sawnson, is the director of the Parks and Recreation department. In this episode, Ron issues some budget cuts and Leslie finds herself going overboard to save a local mini-golf facility. First of all, here’s a virtual reality game with both a single player mode, online component and multi-player. Plus, you can create your own holes. Love it! And lastly, a multiplayer mini golf game for up to 12 different players. Golf amongst the pyramids or better yet, in the Netherlands with real windmills. Cool! What’s Next for Mini Golf? To sum up, the game of mini golf is a popular recreational game that continues to expand in new ways. From indoor to glow-in-the-dark, to some very creative obstacles and course settings, variations of the game expand. Could televised competitions be around the corner? A mini-golf tour for professionals that grows in popularity. Crazier course locations and holes? Who knows? For now, in its many forms, it’s a very popular recreational game that is now passed on from generation to generation. Orlando – Check out Disney offerings. It seems there are always great mini-golf options in vacation destinations near the beaches or lakes. So if work or vacation takes you to new cities and countries, do a Google search on “Mini Golf Courses near me.” You’re sure to find an option or two of interest. Pirates Cove (the original adventure golf) and Monster Mini Golf are a couple of popular chains with great courses. Oh, and you have a target to shoot for. The low round in mini golf is 18 strokes. That’s right: a hole-in-one on every hole. Wow! Written by David Fernandez with Mike O’Halloran contributing. David Fernandez is a High School English teacher, basketball coach, and freelance writer. He sports a 36 handicap at most mini-golf courses and always loses the ball at a chomping alligator.